Yes, arms thigh and hips I mean you. No matter how many squats, lunges and dumbbell lifts I do there is always a little something, something there. I am an hourglass shape I have come to term I will never have an athletic body. To be honest I don't want one but I would like to blast some fat. I Want to zap the fat with coolsculpting. Now tell me you are not sold? So what is Coolsculpting and where can I get it. Coolsculpting is a safe and FDA approved nonsurgical fat freezing treatment. It is not complicated, it really says what it does. 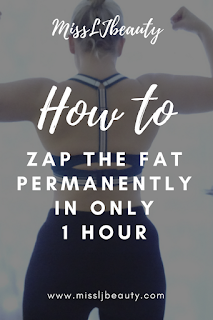 It permanently freezes the fat away. it uses Cryolipolysis technology to remove the fat deposits. The fat cells are frozen and die off. Your body will naturally eliminate these dead cells. Leaving you thinner and more confident. Don't worry it will not damage your skin in any way. This really appeals to me as there are no needles involved in this treatment. You know I have a bit of a needle phobia. The coolsculpting pack is left on the treatment area to work for one hour, leaving you to relax read a book catch up on Instagram what every you want. You can have this done on lots of areas from the chin to bra fat. Basically any problem area.